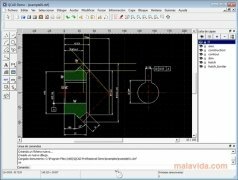 QCAD is a computer aided design (CAD) application in two dimensions. 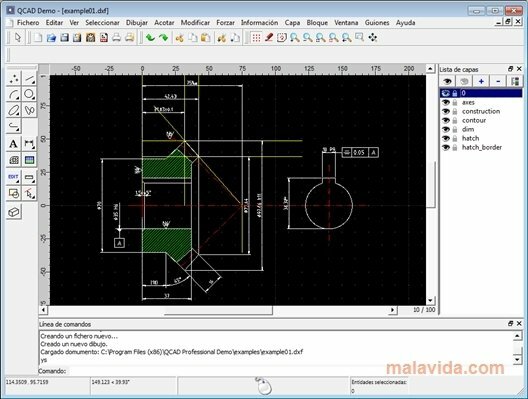 This program will allow you to create floor plans and technical drawings in a very simple way. 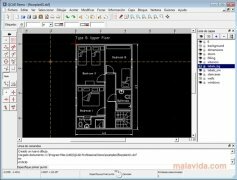 If you work or study architecture, interior decorating or industrial design, QCAD is a tool that will come in very handy due to the many possibilities that it offers. - Use of a layers system that allows you to hide or block them. - Many creation tools (arches, lines, ellipses, points, etc.). - Console to insert coordinates and carry out instructions. - Allows you to import and export images in bit maps. - Powerful selection and modification tools. 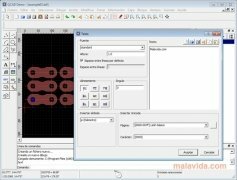 QCAD also has a large amount of CAD fonts, as well as a library with parts of objects that will come in very useful when it comes to creating drawings. It also has a function that allows you to adjust to object, that will make it easier for you to connect specific pieces to the edges, centers or intersections. With QCAD you'll be able to export your creations to PDF to be able to print them or send them by email, for example. Try out QCAD and use its tools to create perfect floorplans and designs.